This is a Powerpoint to introduce book titles. 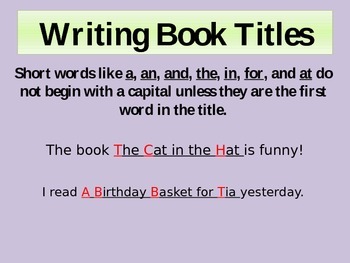 This ppt was made for an Activboard to allow students to interact in the lesson. 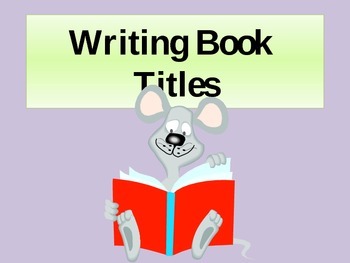 This lesson can be taught then followed with my free worksheet on book titles.